Your favorite Marvel hero meet their doom in Avengers: Infinity War? While there's a good chance they may return in Avengers 4, some of them are likely dead as Uncle Ben, but Marvel may have found a way for you experience those characters once again. All you'll need to do is subscribe to their streaming service to do it. 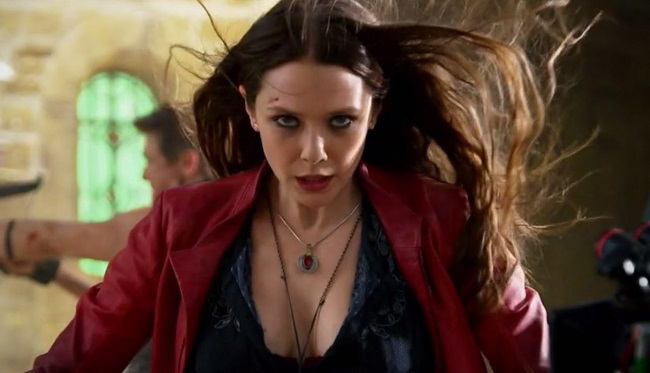 Marvel is reportedly planning to give Loki, Scarlet Witch, and other Marvel heroes solo miniseries events on the untitled streaming network launching in 2019. Before you dismiss this offhand, know that the big screen actors will be reprising their roles, so you get Tom Hiddleston, Elizabeth Olsen, etc. What's more, the six-to-eight episode shows will have Marvel's head guru Kevin Feige overseeing them, and the budgets are expected to be huge, like feature film huge. The focus won't be on the A-list characters like Captain America and Iron Man, but instead on the second-tier heroes who have yet to get their moment in the sun on the big screen. I wouldn't be at all surprised to see Black Panther breakout character Shuri get a series, maybe even Jeremy Renner's Hawkeye since fans are always crying about his lack of screen time. As for the shows currently filling up space on Netflix, Hulu, and ABC? They will remain under the Marvel TV banner and continue doing their own thing, while Feige's streaming shows will fall under Marvel Studios. So don't worry. Daredevil won't be jumping ship just yet. This is obviously pretty huge for a number of reasons. Feige has always kept a firm distance from the TV side of things, and it will be interesting to see if he can work the same magic there. This could be the future venue for characters whose franchises have run their course, or the launching pad for brand new ones.